The Tropical Themed 3 Piece Obstacle Course is the perfect Commercial Inflatable Obstacle Course for your rental business, school, church, or other institution. Race with friends and family as you jump, climb and weave your way through this exciting inflatable obstacle course. 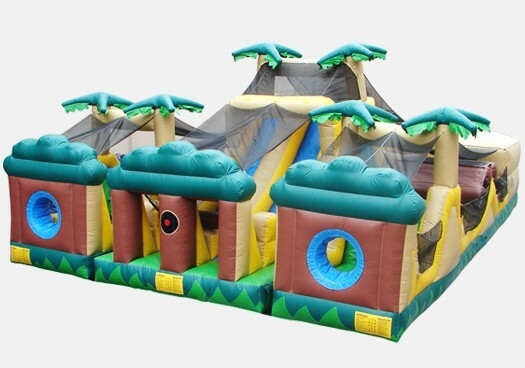 This three piece Tropical themed obstacle course can be separated and used at different times or can be kept together and used at the same time. Made with a high quality 18 ounce PVC vinyl material this inflatable obstacle was built to be enjoyed year round.